To those people who love dogs, there’s a ways to earn from what you are passionate about. 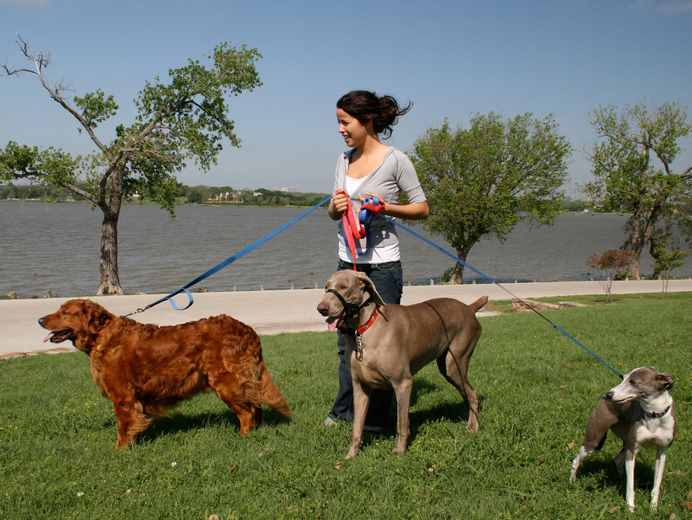 Dog walking jobs can earn you extra money and keep you going. Some students make it as their part time jobs to add some more budgets to their allowances while some to sustain their school fees. Older adults walk dogs for a living. If you can picture yourself doing good and enjoying walking dogs, this might be a break for you. There are a lot of ways to find a dog walking job but first you need to determine the breed and the area where you will be able to offer your services. Once you have established your criteria and services to offer you can try to find your market through various channels. Ask around your area. You can first ask your neighbors or family friends who have dogs and offer your service. Preferably, families with both parents are working. Advertise your services over the internet specifically to website forums about dogs. You can register from an agency online which has a wide variety of customers around. Post your flyers at your local grocer’s bulletin board, pet shops and vets or hand out some at the park. Try looking for job vacancies over the online job search websites such as indeed.co.uk, gumtree.com and others. Make friends with other dog walkers and ask if they can include you to their network of clients if they are holding a group. You just have to find a way where you can get clients to trust you to handle their dog buds. Earning while you are enjoying and doing what you know best can be very rewarding. There is no required age for dog walking as long as you know you can do the job, you have much love and care for dogs and of course for those who are younger, your parents allowed you to do it.